As you may know, May is Mental Health Awareness Month and Mental Health America is promoting a #4Mind4Body Challenge to make small changes each day—both physically and mentally—in order to foster long-term benefits for overall health and wellbeing. Getting regular exercise–increased endorphins (the “feel good” hormone), lowered risk for cardiovascular disease, weight management, and stress reduction are just a few reasons why you should be putting on your running/exercise shoes—now. Getting good quality sleep–staying up all hours and checking your phone every time it pings in the middle of the night is for rock stars. Sleep is essential to both feeling and being healthy. Eating healthy foods–when we’re younger, we can sometimes get away with a less-than-healthy diet but as we age, “we are what we eat.” Foods that contain healthy omega fats (nuts, oily fish such as wild-caught salmon, flax and olive oils) are especially important when it comes to supplying our brains with proper nutrients. Also, getting enough protein while staying away from simple carbs and sugars keeps blood sugars stable, meaning that you’ll experience fewer insulin spikes followed by mood crashes. 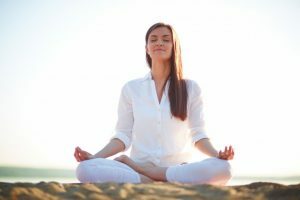 Reducing stress–a brain/body that runs on constant chaos will eventually have to deal with that chaos: high cortisol levels, depressed immune function, and inflammation are just a few of its unwanted results. Spend a few minutes each day doing deep breathing exercises, meditating, praying, and/or journaling. Make these few minutes as important as brushing your teeth.